Bella is a rescue dog, owned and loved by Lucas (Jonah Hauer-King) and his mother Terri (Ashley Judd), deemed to be a ‘pit bull’ type. Bella falls foul of city regulations regarding dogs in Lucas’s small hometown in Colorado. To keep her from being permanently impounded by the authorities, Lucas finds Bella a temporary home in New Mexico. However, Bella will have none of that, and determined little doggy that she is, she makes her way back home – all 400 miles of it. And that is pretty much the storyline of this family-friendly adventure, stretched out into a 96-minute feature on the strength of the cuteness factor of the dog alone. It is slight, it is earnest, it is entirely predictable, yet so harmless and heart-warming I cannot bring myself to be so churlish as to diss it completely. For only the most heartless of animal haters will be unmoved by Bella’s plight. Our heartstrings are tugged mercilessly from when we first meet her – as her mother and assorted cats share a home with her in the basement of a building torn down for development and are trapped and taken away by animal welfare officials. Bella herself is dragged away from danger by one of the cats (whom she dubs Mother Cat) and we can’t help but cheer as she ends up in Lucas’s care and we are drawn into her story from thereon in. Loyal, loving, bright and fun, you are in no doubt that she will make the journey back home safely; and that she will easily overcome any obstacles that come her way, although there is never the sense that she is in any real danger. Among the people Bella meets on her way home are a gay couple – a nice touch in such a conservative film – and the elderly and poorly homeless veteran (played with gravitas by Edward James Olmos) who finds in her the only company he has had for a long time. Despite some dodgy CG, there is a nice sequence involving Bella’s friendship with a baby cougar (nicknamed Big Kitten), and enough moments of slight tension and dollops of humour to keep things ticking over at a steady pace under the watchful eye of director Charles Martin Smith. There are hints of a deeper story here. Terri is an army veteran who suffers from post-traumatic stress disorder and works in a hospital where many fellow veterans are recovering from assorted physical and emotional injuries, yet we never learn much about their respective conditions or what caused them. That Bella is targeted because she resembles a pit bull smacks of racism – as one character puts it – but the issues don’t really get any depth; and you can’t shake the feeling that the film wants to retain its lightness of touch and feel-good factor as far as possible. It is exactly what you get from the screenplay by Cathryn Michon and W. Bruce Cameron. 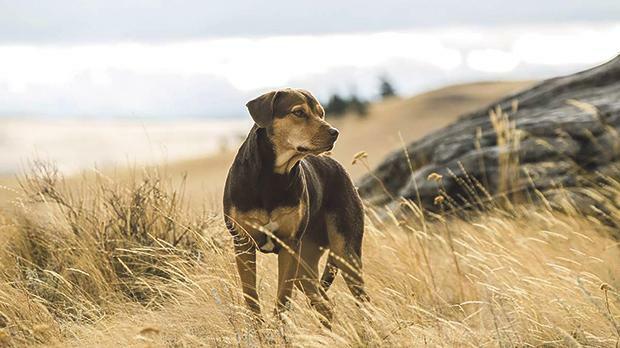 The film is, in fact, based on the latter’s book, the second in a trilogy consisting of A Dog’s Purpose, made into a film in 2017; and A Dog’s Journey which no doubt will follow suit. There’s no denying the film has its heart in the right place. Just don’t expect anything way too profound and be prepared with the tissues at the end.